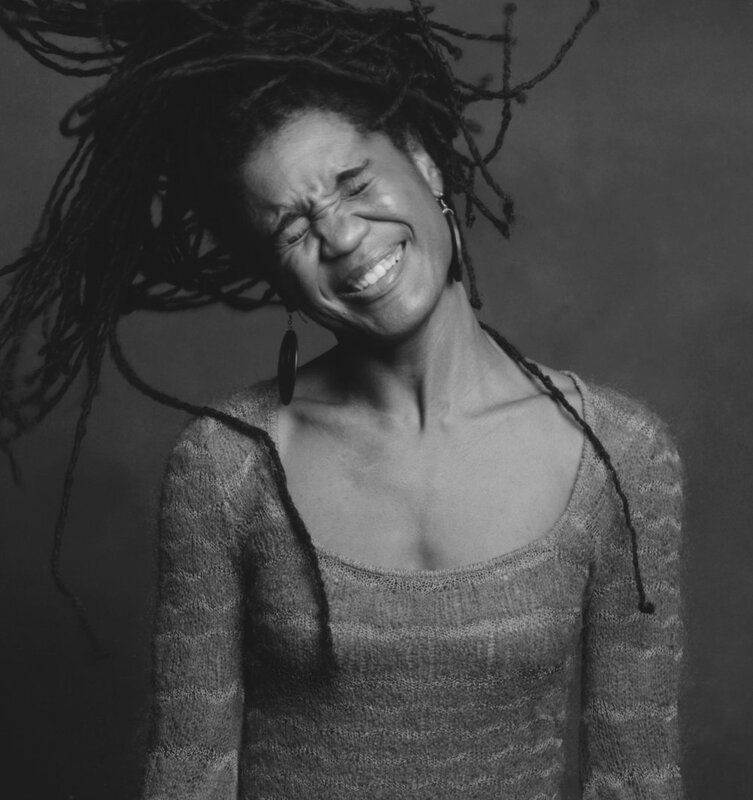 about her and this play’s origins, and the stories she’s driven to tell. When did you first start to think of yourself as a writer? 6th grade. My teacher, Ms. Carlisle Peters, was the first person to single me out as a good writer and encourage that. I didn’t really know about theater until much later. Mostly I was writing short stories. Little murder mysteries and whatnot. Cheesy romances. Is that what you were reading? Yeah, because that’s what was around the house. 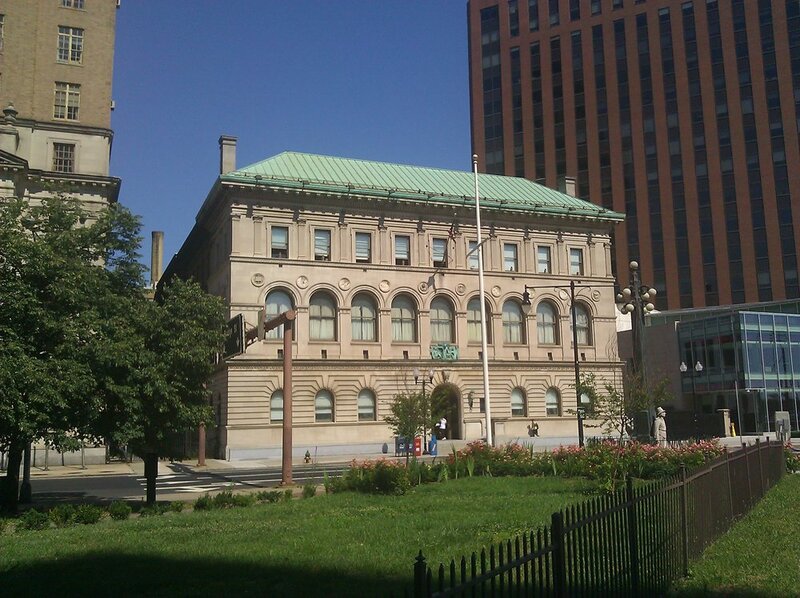 Or I’d go to Newark Public Library and take out all the V.C. Andrews books, and I got up to Terry McMillan when I got a little older. It wasn’t a book, it was a play, which I read in freshman year of high school. Lorraine Hansberry’s A Raisin in the Sun. That was transformative. I got turned onto the idea that regular black folk like me can write plays. Then it was Paula Vogel, Jane Martin, [John Guare’s] Six Degrees of Separation, Eric Bogosian, and of course, August Wilson. I got to go see August Wilson debate Robert Brustein on the issue of colorblind casting. And at that point – I think I was a junior – I had been cast in plays in the most inappropriate roles, roles that were clearly not intended for the young black girl. But you go along with it because, what else are you going to do with your afternoons in high school? When I went to listen to that debate, it was like, “oh, you’re speaking my truth, Mr. Wilson. You’re literally giving me life.” He was saying that he didn’t understand this colorblind business, he thinks it’s lazy, it just gives theaters an excuse to not do plays that are actually by writers of color about people of color, when we just shoehorn people of color intro traditionally Eurocentric stories. I saw that as a call to arms. I really started writing plays in earnest after that experience. You got your MFA in playwriting from NYU – what did you take away from that program? NYU is a really great place to learn about craft, and to build a foundation for good storytelling, to put a lot of tools in your toolbox that you can use later on when you’re staring at a blank screen with the cursor blinking. 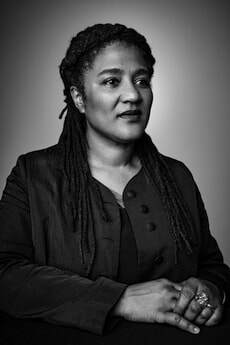 And Diana Son – who is a force, and an incredibly generous mentor – taught my master class at NYU, and she connected me with Lynn Nottage. I was looking for an internship, as part of my curriculum at NYU. I didn’t want to fetch coffee at some theater company. 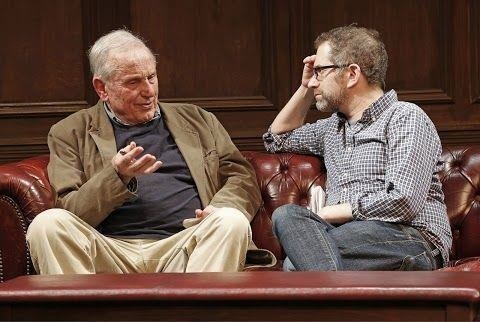 I said, “I’m going to be a playwright, so can I just shadow a playwright?” Richard Wesley, who was the head of the theater department at the time, said yes. And I asked Diana Son to hook me up with Lynn Nottage, as her intern. Lynn said yes, and a couple of weeks later, she won the Pultizer [for Ruined]. So I became the busiest intern who ever interned. Lynn has been incredible. She’s been another hand in my clay, just shaping things. I also met one of my best playwright friends, Sarah Gancher, in grad school. And she’s the reason I have the agent I have right now – Di Glazer at ICM – who is an amazing fit for me. None of that could have happened without my being at NYU. Can you talk a little about the history of Surely Goodness and Mercy? The play was commissioned by NJPAC and Writers Theater of NJ, and the only guideline I was given was it had to be about a community in New Jersey. And of course I’m going to choose Newark, because I grew up in Newark, I have a soft spot for Newark even though by all appearances Newark is a hard place. This will be the fourth production of the play. It’s been done in very different places -- in Newark and Chicago and Salt Lake City, and I’ve been shocked how much the story resonates with different people, particularly with people who don’t have a background similar to Tino’s and don’t come from places like Newark. I’m touched to know that it’s landing for people. We’re having this conversation the day after Green Book -- which has been criticized for perpetuating a white savior narrative – won the Oscar for Best Picture. Earlier today I spoke with with someone – a white person, not in the entertainment industry – who enjoyed that movie, and seemed somewhat perplexed by the frustration at its Oscars success. I was attempting to explain that frustration. When movies like Dangerous Minds and The Blind Side come out – on the one hand you’re like, that is a particular kind of reality. But when that is the only reality you see onscreen about black people, it becomes insulting. It feels disabling – it’s like, whatever you accomplish you can only accomplish because you have the support of white people. How about trying something new? Something that audiences could find just as appealing. Which is why I think Surely Goodness and Mercy is that same sort of feel-good, do-good story, but it doesn’t offend at minimum 13% [the estimated percentage of African-Americans in the United States] of your audience, it doesn’t insult. I used to say about my writing, that I write about how majorities screw minorities over. Which is part of it. Now I try to focus more on how minorities are living, within their own identities, divorced from any sort of majority, or at least attempting to live their lives without thinking about or bumping up against or having to define themselves against the majority. And also finding their own agency. Going from this victimhood narrative to one that’s a little more: now what? How do I claim something for myself, in spite of whatever forces are working against? That feels important right now. When audiences walk out of your plays, is there something you’d like them to feel? I set out to create space for people to come in and feel invited. Maybe not always comfortable because I do like to challenge people sometimes, but valued. Whenever I sit to write a play, I want the audience to feel like they have some place to fit in there. Whether it’s “I was so Tino when I was 12” or there is that old church lady sitting in the audience and she’s listening to the preacher and she’s like, yes, that guy, that’s my preacher. Or, that’s the preacher I would be if my church allowed women to be preachers. To have the play -- there’s space inside of the play for the audience, and I want there to be space inside the audience for the play, if that makes any sense. 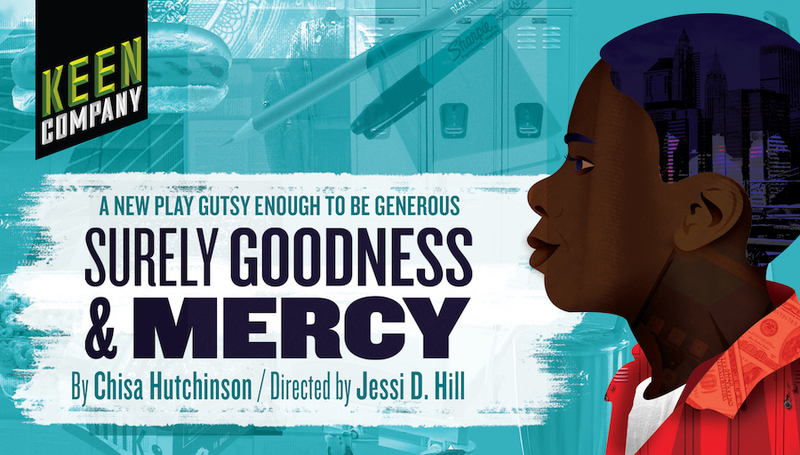 Surely Goodness and Mercy runs through April 13. For tickets, visit keencompany.org. We just began rehearsals for our FOURTH musical at Keen! When I began at Keen 6 years ago, the first thing I did was to produce our first ever musical – Stephen Sondheim’s Marry Me A Little. Keen’s work always tugged at the heart strings – and what more natural way to speak to “emotional connection” in our mission than with a musical? So what is a “Keen musical”? A Keen musical is modest. Ordinary Days will be our largest cast with four performers. Both Marry Me A Little and John & Jen had two performers each, giving you the opportunity to truly get to know the actors and characters. A Keen musical is generally about something relatively minor and its big emotional impact. Tick, Tick…BOOM! is about the week leading up to a composer’s birthday and the workshop of one of his musicals. While the ending packs a huge emotional punch – as Jonathan sits alone at a piano, recommitting to his art – nothing overly dramatic or groundbreaking occurs. No helicopters, no record deals, no cats ascending to the heavens. A Keen musical is intimate. Both Marry Me and John and Jen were performed in our 99 seat theatre at Theatre Row, without amplification and up close. Where else can you see Kate Baldwin sing her heart our just a few feet in front of you without anything getting between you and her voice? A Keen musical is often reimagined. Marry Me a Little was a completely different show than the original. With the assistance of Craig Lucas (who originally conceived and developed the musical) and Mr. Sondheim, we substituted new songs and re-shaped the narrative, adding a whole new arc for the characters. Ordinary Days will feature some changes to the material written by Adam Gwon, as well as new orchestrations by Tony Award Winning orchestrator Bruce Coughlin. Of course, a Keen musical is not unlike a Keen play: a story that we hope our audiences identify with and relate to. I am confident anyone who has experienced New York City will be able to relate to Ordinary Days! In light of recent news about the Pulse Orlando massacre, we would like to dedicate today as a day of recuperation and silence in solidarity with those who are directly affected by this tragedy. Sometimes you have to regain your strength in order to go full force and celebrate again. Hearing about this news took the wind out of our sales, but just briefly, causing this respite. We will return tomorrow with our countdown and continue to show our love, excitement, and joy. Our hearts are with all those affected. In honor of the Tony's tonight we decided to share 16 Tony nominated and award winners that we have worked with. 10. Jonathan Hadary, who starred in our production of Middle of the Night, was nominated for Gypsy. 16. Mark Medoff, won the Tony for his plat Children Of A Lesser God, which we revived in our 6th season.